"The police saw that he was a problem, they didn't take any guns away. Now, that could've been policing. They should've taken them away anyway, whether they had the right or not." "Take the guns first, go through due process second." Imagine if Obama had said this. Fox News and Republicans would’ve called for him to be impeached. 22. Echoing the long-standing position of the U.S. Conference of Catholic Bishops, Archbishop Wenski said “reasonable” gun control was necessary to prevent firearms from getting into the wrong hands. 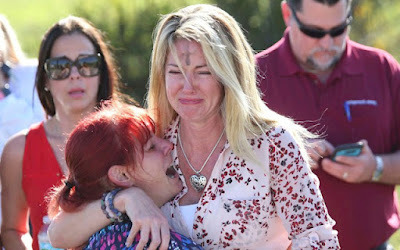 “The church has been engaged on this issue of gun control for a good amount of time,” he said. Can the new push for gun control change the way (and whether) guns are stored in the home? WASHINGTON (ChurchMilitant.com) - The U.S. bishops are proclaiming February 26, National Catholic Call-In Day to Protect Dreamers, after .... social justice issues like health care, gun control, climate change and tax reform, sometimes reserving their harshest criticism of Trump for these other issues. 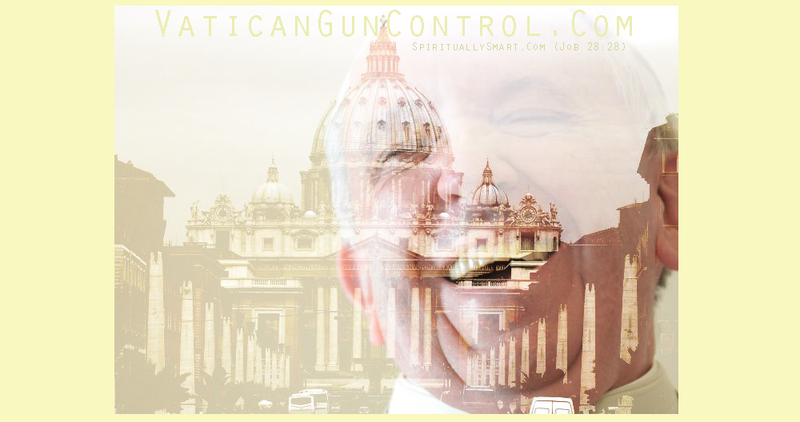 Father Jerry J. Pokorsky: Some wish to see gun control and abortion as related issues. That's a mistake. Guns are not intrinsically evil; abortion is. "...the Catholic moral tradition emphasizes how such defense is primarily the responsibility of legitimate authorities—namely, the police and the military." 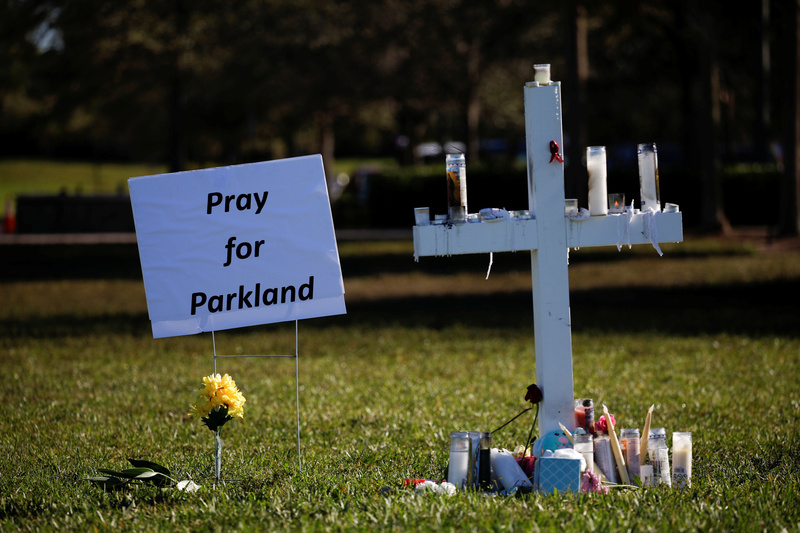 In the wake of repeated mass shootings, most recently at a school in Parkland, Fla., on Feb. 14, many of us are asking what resources are available to educators to address questions of gun violence and gun control. In my experience teaching social ethics, I have found that Pope John XXIII’s social encyclical “Pacem in Terris” generates important insights that are relevant to the current debate. The encyclical reminds us that in our public discourse around guns, we talk a great deal about rights and not enough nearly enough about duties. In Part I of “Pacem in Terris,” John XXIII writes that “every human being is a person; that is, [human] nature is endowed with intelligence and free will.” Because of this, every person has rights and obligations that flow from his or her very nature, and “as these rights and obligations are universal and inviolable, so they cannot in any way be surrendered” (No. 9). 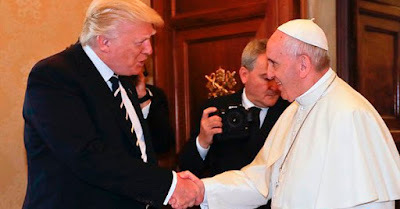 Accordingly, the pope enumerates several human rights (the right to life, bodily integrity, an ability to practice religion privately and publicly, emigration and immigration, and more), while also listing several human obligations that correlate with these rights. For the pope, “the right of every [person] to life is correlative with the duty to preserve it”; so, too, “[the] right to investigate the truth freely” correlates with “the duty of seeking it ever more completely and profoundly” (No. 29). In our public discourse around guns, we talk a great deal about rights and not enough nearly enough about duties. In the wake of the shooting in Parkland, intense public debate has occurred about whether guns ought to be regulated in order to diminish the likelihood that such atrocities will happen again. Many citizens and groups such as the National Rifle Association oppose any proposals that they say could threaten the Second Amendment right to keep and bear arms. Can students of the Parkland massacre make a difference in U.S. gun debate? As noted above, “Pacem in Terris” highlights every person’s right to life and every person’s duty to preserve life; however, unlike the Second Amendment, there is no explicit mention of a right to keep and bear arms. According to the Catholic moral tradition, individuals may legitimately defend themselves and other innocent persons against unjust attack—that is, if we follow the teaching of St. Thomas Aquinas rather than St. Augustine, who prohibited self-defense but justified defense of others. Such a right to life and its corresponding duty to protect life may encompass the ability to own certain appropriate weapons such as firearms, but the Catholic moral tradition emphasizes how such defense is primarily the responsibility of legitimate authorities—namely, the police and the military. For example, the only time I ever owned firearms was while working in law enforcement in both corrections and policing. Improving access to mental health care for those who may be prone to violence. These seem fair to me. The editors of America went even further on Feb. 25, 2013, by calling for the repeal of the Second Amendment. I don’t see that happening—or lasting. Still, given what “Pacem in Terris” emphasizes about the human responsibilities that accompany human rights, we still need to ask the questions: “In our time, is a given constitutional provision a good law or a bad law? Does it promote the common good?” We Americans, Catholics included, need to engage in more public conversation along these lines with regard to gun regulations. Editors’ note: This article builds on an essay first published on April 11, 2013, on the “Catholic Moral Theology” website. NEW YORK (Reuters) - When they got prayers and thoughts from U.S. lawmakers after a massacre at a Florida high school that left 17 students and teachers dead, thousands of young people turned to the country’s largest gun-control advocacy group to learn how to make their voices heard. Students flooded Everytown for Gun Safety with calls after last week’s Florida school massacre, prompting the creation of its first student branch, the group said on Wednesday. On Feb. 14, a gunman killed 17 people at a Parkland, Florida high school, the latest in a long series of deadly U.S. school shootings, stirring the nation’s long-running debate about gun rights and public safety. Survivors of the shooting at Marjory Stoneman Douglas High School in Parkland, Florida, have emerged as the new faces of the gun-control movement and marched on the state capital of Tallahassee on Wednesday to call for a ban on assault-style weapons. The youth-led protest movement has rallied around the #NeverAgain slogan, attracted prominent celebrity supporters and plans a rally in Washington on March 24. They are a generation born into a world where schools routinely practice active shooter drills by having students lock the classroom door and hide out of sight to try to prevent another massacre like the 1999 shooting in Columbine, Colorado that killed 13 or the massacre in 2012 in Newtown, Connecticut that left 26 dead. The new “Students Demand Action” branch is expected to try to lift a ban on government research into gun violence, get out the notoriously absent youth vote and even run for elected office themselves. Students Demand Action is set to hold its first-ever nationwide organizing call on Wednesday evening, and participants anticipate the high school and college student groups will take a different tact from their elders to stop gun violence. Students will likely push to restore federal funding for scientific studies of firearms-injury prevention, which has been choked off since 1996 by the so-called Dickey Amendment. Millennials are far less likely than Baby Boomers to vote in mid-term elections in November, so another expected focus of the student group will be getting young voters to the polls, said Shannon Watts, founder of Moms Demand Action, part of Everytown, a 4 million member organization funded by billionaire businessman and former New York Mayor Michael Bloomberg. And, if no candidate emerges to challenge an incumbent beholden to the National Rifle Association, members of Students Demand Action will likely be trained by Everytown to run for elected office themselves, both Watts and Herrmann said. “We are ready. If Congress isn’t going to fight for common sense gun remedies, then let us take those spots,” Herrmann said. The headline read: "Surprising response to the Parkland [the Florida high school] massacre." Chants of "No more guns!" erupt at a Florida vigil for the victims of the Parkland massacre. Why is that a surprise? After Florida, is the tide finally turning on gun control? Isn't that what was said after Sandy Hook? Cardinal Daniel N. DiNardo of Galveston-Houston, president of the U.S. Conference of Catholic Bishops, called for prayer and healing. He urged all unite their ... Amid the outpouring of sympathyand calls for gun control and other action to stop mass shootings was a statement from the Sisters of Mercy. And she still has her Catholic ashes on her forehead. Crisis actors? The reporter has the Catholic cult ashes on her head too! In a move that Sneed first reported was pending, Cardinal Blase J. Cupich just named retired FBI agent Phil Andrew to head the Catholic Archdiocesan Anti-Violence Initiative he created more than a year ago. The selection of the highly respected FBI agent is the culmination of a blue-ribbon archdiocesan committee of advisers summoned by Cupich last March to help stem the violence on Chicago’s South and West sides. Stunningly, Andrew, 50, brings an interesting perspective to the job: a negotiator’s role that began with a school shooting tragedy in Winnetka. On May 20, 1988, Andrew, then a 20-year-old college student, helped end the North Shore rampage of a woman named Laurie Dann, who had opened fire on children at the Hubbard Woods School in Winnetka, killing an 8-year-old named Nick Corwin and injuring five other children. On that day, Andrew and his mother were in their kitchen in Winnetka when Dann entered holding two guns, claiming she had been raped, and took them as hostages. Andrew reverted to negotiator mode; and when Dann laid down one of her guns, it was reported he removed its clip in a gesture to invite her trust. But when police arrived, she shot Andrew in the chest, and then killed herself — but not before Andrew succeeded in getting Dann to release his parents as hostages. It was the culmination of a rampage in which Dann had set fire to a house, attempted to firebomb Ravinia Elementary School in Highland Park, and then “delivered poisoned juice and snacks to several acquaintances” before using the Winnetka school children as target practice, according to news reports. Chicago Police Supt. Eddie Johnson and the cardinal, who have been holding regular meetings since last March on quelling the violence in Chicago, met Wednesday at the cardinal’s office to discuss the city’s gun violence issue. • A history note: Sneed exclusively reported last year that Cupich, who has likened the city’s gun violence to the Great Chicago Fire, put together a fire brigade just before Easter. • To wit: Cupich ordered an inventory on all 84 archdiocesan programs dealing with strengthening families to streamline their effectiveness in dealing with violence; summoned a blue-ribbon committee of advisers to deal with stemming violence; and hoped to integrate their work with other agencies. • The team: It’s comprised of Chicago’s Catholic university heads; Mayor Rahm Emanuel’s former Chief of Staff Eileen Mitchell; Illinois Supreme Court Justice Anne Burke; Father David Jones, pastor of St. Benedict The African East Catholic Church in the violence-scarred East Englewood neighborhood; Father Scott Donahue of Mercy Home For Boys & Girls; the Rev. Michael Pfleger of Saint Sabina Church; and Msgr. Michael Boland from Catholic Charities.